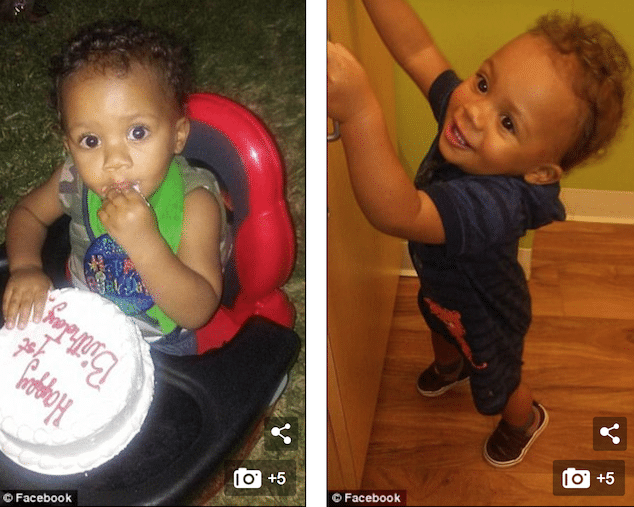 Pictured, Miami-Dade County, Florida mother, who was charged with aggravated manslaughter with the death of her one year old infant son, Ethan Coley (pictured, right). Christina Marie Hurt a Florida mother is charged with aggravated manslaughter after refusing to take her burned infant child to hospital after fearing losing child custody. Christina Marie Hurt a 35 year old Florida woman has been arrested after allowing her infant son to die from burns suffered in the bathtub because she feared losing custody if she called 911. Upon her arrest, the Miami-Dade County woman was charged with aggravated manslaughter over the death of her 1-year-old child, Ethan Coley, NBC 6 reported. 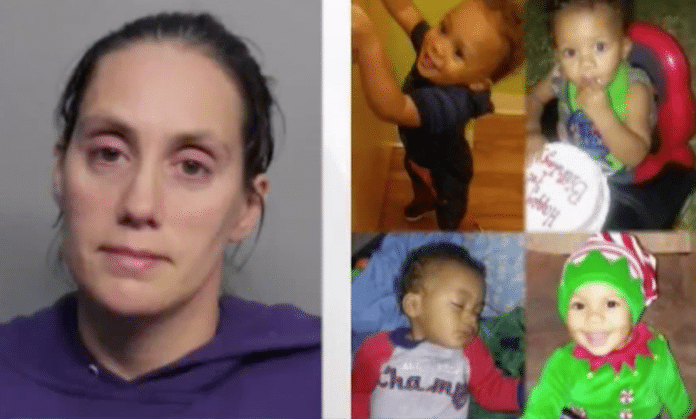 According to an arrest report, police say the mother of three – who has previously lost custody of her children before – became worried when her four-year-old child burned the toddler with hot water when trying to give him a bath at their Homestead home. Hurt told authorities she left her home Wednesday night to take out the garbage and when she returned, her 10-year-old daughter was holding a screaming Coley. The child suffered severe burns on half his body because Hurt’s daughter tried to bathe Coley in scalding water. When Hurt realized Coley was burned, she avoided seeking medical help at the risk of losing custody of her son, ABC 10 reported. The media outlet reported the mother instead giving the burned child Tylenol and juice, with the child repeatedly throwing up overnight. Pictured, Christina Marie Hurt’s one year old infant son, Ethan Coley. Christina Marie Hurt: A history of child neglect. After driving her older kids to school Thursday, police say Hurt went to a friend’s flop house in Goulds and continued trying to give the child first aid before he became unresponsive. Police say witnesses told Hurt to take the child to a hospital, only to refuse. Coley had severe burns from mid torso to the toes, a police report noted. One witness who tried to help revive the boy said it was the worst thing he’s seen in all his life. Police said Hurt had previously been under investigation by the Florida Department of Children and Families for child neglect, where she temporarily lost custody of her children. It wasn’t immediately clear what led to Christina Hurt losing custody and how the mother managed to retain custody and what supervision the agency afforded ongoing? At a dependency hearing Friday attended by the kids’ father, a judge ordered them to have no contact with Hurt and placed them in DCF custody. Hurt was being held on $10,000 bond Friday, records showed. Attorney information wasn’t available.